Before considering studying medicine in the Caribbean, it is essential for all prospective students to understand what it means for a school to be “fully accredited,” as many Caribbean medical schools will claim this, but not all are. The standard of education vary widely at different schools in the Caribbean, and which school you choose to go to will impact the states you will be able to legally practice in in the future. I received an email from a friend asking about this topic, and so I feel it will be helpful if I posted my answer here for everyone to read. Disclaimer: In this post, I am only addressing off-shore American medical schools in the Caribbean. Regional medical schools located in the Caribbean and U.S. domestic medical schools in Puerto Rico are not included in this article. To be internationally recognized as an “official” medical school, it must be in an “official” medical school directory. As of 2019, that directory is the World Directory of Medical Schools (WDOMS), created by merging the former IMED (FAIMER/ECFMG) and AVICENNA (WHO/WFME) directories. According to the U.S. Educational Commission for Foreign Medical Graduates (ECFMG), only students who obtain degrees from schools listed in the WDOMS (or former IMED/AVICENNA) directory are eligible to take the USMLE exams and participate in matching (until 2023, when ECFMG will also require that the school be accredited by a WFME-recognized accreditation agency, which will be discussed below). However, it’s important to note that the WDOMS (or IMED/AVICENNA) is only a directory and NOT an accreditation (the WDOMS, FAIMER/IMED, and WHO/WFME/AVICENNA even state this themselves on their respective websites), and therefore being on the WDOMS (or IMED/AVICENNA) list says nothing about the quality of the medical school. There are many unaccredited medical schools listed in the WDOMS (and IMED/AVICENNA) directory. The only requirement for a school to be on the WDOMS directory is to have a government charter from the country in which the school is located (see #1 above). The school must then be accredited by an accrediting agency to determine if the school meets the educational quality and administrative standards of the accrediting agency. For American medical schools, it is the Liaison Committee on Medical Education (LCME), which only accredits schools in the United States and Canada. Foreign medical schools use other accrediting agencies, such as those of their own government or a multinational accrediting agency like the ACCM or CAAM-HP. Currently, ECFMG does not require medical schools to be accredited by any accrediting agency for their graduates to be certified to enter residency programs and practice medicine in the US. Because of this, many Caribbean medical schools, particularly those in countries that do not have strict accreditation requirements, remain unaccredited. However, this will change in 2023 when ECFMG starts requiring medical schools to be not only accredited, but accredited by an agency that is recognized by the World Federation for Medical Education (WFME) as having acceptable international standards for accrediting medical schools. Of the accrediting agencies that accredit Caribbean medical schools, only the ACCM, CAAM-HP, and NVAO meet this requirement. Only students from schools accredited by these agencies would be able to sit for the USMLE step exams, become ECFMG-certified, and practice medicine in the United States. Not all international accrediting agencies accredit schools in the same way. For this reason, the US has a National Committee on Foreign Medical Education and Accreditation (NCFMEA) that reviews the accrediting agencies that accredit foreign schools to determine whether or not they have standards comparable to the LCME used in the US and Canada. Accreditation Commission on Colleges of Medicine (ACCM) – Accredits American University of the Caribbean (AUC) in St. Maarten, St. Matthews University (SMU) in Cayman Islands, Medical University of the Americas (MUA) in Nevis, and University of Medicine and Health Sciences (UMHS) in St. Kitts. Dominica Medical Board – Used to accredit Ross University when it was in Dominica, until the university moved to Barbados in 1/2019. National Council of Higher Education, Science, and Technology – Accredits several regional medical schools in the Dominican Republic. Nederlands-Vlaamse Accreditatieorganisatie (NVAO) – accredits Saba University in the Caribbean Netherlands (aka Bonaire, Saba, St. Eustatius). When the islands of Bonaire, Saba, and St. Eustatius joined the Caribbean Netherlands in 2010, their respective medical schools became required to be NVAO-accredited, just like in the rest of the Netherlands in Europe. Saba University was the only school that successfully did so. As a result of not successfully getting NVAO accreditation, University of Sint Eustatius and St. James School of Medicine were not allowed to continue operating in the Caribbean Netherlands and subsequently moved their campus and government charter to other countries. University of Sint Eustatius was renamed “American University of Integrative Sciences” and moved from Sint Eustatius to St. Maarten in 2014, then to Barbados in 2017 where it is applying for CAAM-HP accreditation. St. James School of Medicine relocated from Bonaire to Anguilla and St. Vincent and is given initial accreditation by the CAAM-HP. In addition, there are many states that also require foreign medical schools to be reviewed by their own state board of medical education. States like California, New York, and Florida require state-approval in order for students to do clinical clerkships in those states during their third or fourth years in medical school. (Notice I emphasize clerkship, rather than internship, residency, or licensure. If you are not familiar with the difference between these terms, please consult this page). New Jersey used to allow international medical schools to conduct clinical clerkships in the state, but have since closed their clerkship sites to international schools. Schools that already had clerkships in New Jersey before the change in policy (like Ross and SGU) were grandfathered in and allowed to keep their sites in these states. Regardless, it doesn’t really matter which states a school can conduct clerkships in. What really matters most is which states graduates of the school can get residency and licensure in. Therefore, the most important state approval is California state approval. Not only is California approval required for you to do clerkships in the state, but also required for you get a residency as well as licensure to practice in the state. However, what makes California approval really important is that it is not only required in California but also in other states that follow California’s Approved List of International Medical Schools, including Alaska, Colorado, Indiana, and New Mexico. Tennessee also follows California’s list but allows graduates of unapproved schools to provide documents to prove equivalence to be considered for licensure. In addition to these states, some states follow California’s Disapproved List in which graduates of officially California-disapproved schools cannot obtain residencies or licensure in those states (but graduates of schools that are neither disapproved or approved may get licensed). These states include North Dakota and Vermont. It is a possibility that other states may also start following the California list in the future. At the time of this writing (2019), graduates from schools not approved by California must practice 10 years outside of California before they can become eligible to practice in California. Only six off-shore Caribbean med schools are on California’s Approved List: American University of the Caribbean (AUC), St. George’s University (SGU), Ross University, Saba University, American University of Antigua (AUA), and Medical University of the Americas (MUA). Graduates can therefore practice in California and the numerous other states that follow California’s list. As of 2019, these six schools are also the only ones where graduates are allowed to practice in all 50 states. Off-shore Caribbean med schools on California’s Disapproved List include: Spartan Health Sciences University, University of Health Sciences Antigua, and St. Matthew’s University (SMU). Graduates from these schools cannot practice in any of the states that follow California’s Approved List and Disapproved List as stated above. The Kansas State Board of Healing Arts has its own list of approved and disapproved schools. In order to get a license to practice in Kansas, you must be a graduate of an approved school or a school that has not been disapproved. In addition, your school must have been in operation for at least 15 years (from beginning of instruction). AUC and Saba are on Kansas’ approved list. St. Matthew’s University, Spartan Health Sciences University, and University of Health Sciences Antigua are on its disapproved list, and graduates therefore cannot be licensed in Kansas. Ross, SGU, and AUA are not approved, but they are not disapproved either, and they are all over 15 years old, and so graduates are allowed to get licensed in Kansas. In addition to being a requirement for students from foreign medical schools to conduct more than 12 weeks of clinical rotations in the state, New York state approval is also required for graduates to obtain residencies in the state, but not required for the graduate to be licensed as a practicing physician afterwards in the state. For those students interested in practicing in Texas, the Texas Medical Board require state-approval of a school for graduates of the school to obtain licensure without the need to demonstrate substantial proof of equivalency through documents and questionnaires, as would be the case for graduates of international medical schools not approved yet by Texas. Of the off-shore Caribbean med schools, only AUC, SGU, and Ross are on the Texas’ Approved List. Graduates of all other schools not on the list can get licensed to practice in Texas but it will be more difficult. The school must have had a state-approved clinical training program since January 1, 2008 and remain approved to this day, AND have at least a 75% pass rate for all the step exams administered by the ECFMG (i.e. USMLE Step 1, Step 2 CK, Step 2 CS). There are also several other criteria that must be met, like the school must require their applicants to have taken the MCAT, not allow their students to take more than 6 years to finish medical school (or 150% of the official length of the program), and additional requirements as stated in 34 CFR §600.55. Of the off-shore American medical schools, AUC, SGU, Ross, Saba, AUA, and MUA (which are also the 6 schools where graduates can practice in all 50 states) pass the former criteria and are therefore eligible for U.S. Federal student loans (FFELP loans before July 2010 and Direct Loans effective June 2010). These six schools also are eligible to offer US Federal Financial Aid. They are among the oldest off-shore medical schools in the Caribbean, with a history of placing graduates in all types of residencies and teaching hospitals, and a consistent USMLE first-time pass rate comparable to that of the United States. Of the schools in the Caribbean, AUC, Ross, Saba, SGU, AUA, and MUA should be the ones you consider first. In conclusion, of the numerous medical schools in the Caribbean, there are some that do not go beyond getting a government charter and WDOMS (step #2 in the above list) yet call themselves “fully accredited” when in fact, they are not accredited by any accrediting agency. As I clarified above, there is nothing too special about getting a government charter or being listed in the WDOMS. There are others that may be accredited by accreditation agencies that are not recognized by the WFME or NCFMEA and do not have individual state approvals, yet claim to be a “top Caribbean school” in their advertisements, when in fact, their accreditation has not been deemed on par with US accreditation standards. Therefore, be very careful when looking at advertisements or websites of Caribbean medical schools and take what you read with a grain of salt. Thanks to the many steps and the stringent criteria that a school needs to go through to reach step #6, anyone who seeks medical education at any of the top Caribbean medical schools should not worry about the educational quality, financial aid, or the ability to practice in all 50 States. Now that you’ve read all of this, please check out my Guide to Caribbean Medical Schools where I profile all the Caribbean medical schools based on the 6 steps of accreditation explicated above. Also, check out Caribbean Medical School Rankings based on the steps above. Good luck everyone on the application process! I am trying to get info on a school just opening in Belize C.A….called American Global University School of Medicine. They state they have all the criteria to certifty that you get all the correct guidelines that are required to practice in U.S. but I am doubting where this a scam school…for it was another school just not long ago and had to shut down…..thier “professors are not “Professors, just just local MD’s in on island and non are boarded in States at all. i am trying to find all their supposed accrediations and if they are real and do not know where to go to find this info and if so..then they need to be re-examined for quality of instruction and and the shape of the school and not using U.S. medical Books that all U.S. students use…they teach by slides mostly and rarely open a book, yet say “read the book” but never test on the book…always off the slide presentations…..they cover in 3 months what is covered in U.S. in a year time….doing 3-6 chapters at time and instructors are all forgeiners and difficult to even understand the English that they speak. Whats up with this school and are they or not accrediated in U.S. and have they meet all these requirements and where do I go or call to talk with someone about this school…it is operated out of Columbus Ohio where the CEO and administrative offices are. Can anyone help? this is an excellent guide! Thank you very much for posting it! It provides an in depth understanding for the requirements of off-shore medical schools to obtain licensure in all 50 States. Thanks for visiting Edward! I feel it is important for everyone considering Caribbean medical schools to understand the accreditation process of these schools. It is also important for college pre-med advisors and residency directors to understand as well to prevent any faulty assumptions that may hurt an aspiring physician’s chance to help others in need. i am a caribbean medical school graduate from international university of health sciences. who studied offshore in india. my doubt is, will other remaining states grant license as a medical practioner?please clarify it. How did you find the program? Did you write the USMLE and did you feel your education prepared you? Did you do your clinical rotations in the US? You can probably expect a tuition increase and more American students attending. This is great information for people who want the freedom to practice in all 50 states, but what about someone who wants to practice in Canada? Does it matter if an international graduate’s school isn’t accredited in every single way that this guide advises? I feel that what’s more important is whether an international school is on the IMED list, how each individual does on their steps, and whether or not that individual passes the Canadian Board Exam. I’m not sure about how Canada accredits and recognizes international medical schools, or whether each province has its own medical education board that determines whether applicants from certain schools can come back to practice, like the US. My opinion is that schools with a certain level of accreditation tend to have a certain level of educational and administrative standards that helped them gain those accreditations. Although ultimately how we do in school depends on our own level of determination and discipline, I feel the standards of a school are still very important, especially in a field as complex as medicine. It’s especially important for a medical school to have high administrative standards too in order to obtain and maintain affiliations with clinical rotation sites, obtain cadavers for anatomy lab, handle financial aid, get malpractice insurance for medical students training in the hospitals, and other medical experiences that require a high level of administrative ability. While one may have the determination and discipline to do well, it may be more difficult to do as well as one wants without the educational and administrative resources of a school with more accreditation. Makes sense… I was determined to apply to Windsor University School of Medicine in St. Kitts, but decided to do some Google research and didn’t like some of the opinions I found. Their tuition fees were calling my name, but I guess you get what you pay for in the Caribbean, and I shouldn’t settle for sub-par education. My next choice is Saba. This is definitely a stressful time for me because every day I find new information that results in me starting all over again! Exciting? Not so much right now, haha! Thanks this is useful information. However I have difficulties verifying Saint James school of medicine and I was wondering if you know anything about them and how far they made if on the above mentioned list?? 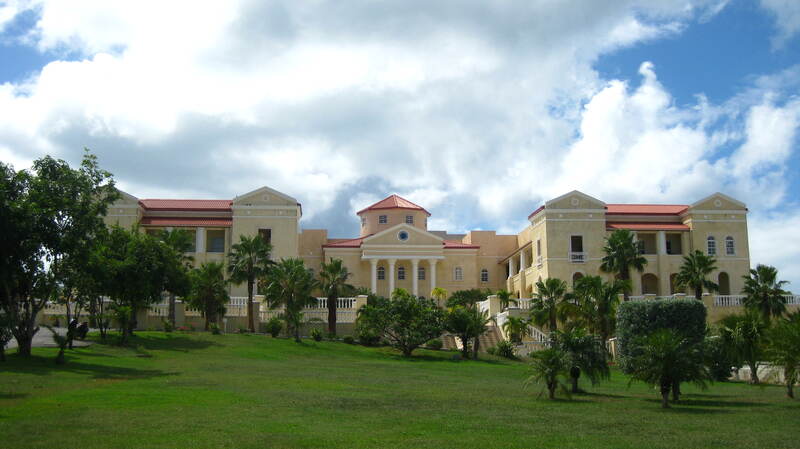 St. James School of Medicine (SJSM) currently has a campus on Bonaire and one on Anguilla. They are planning on opening a third campus on St. Vincent from what I understand. Some of my AUC friends and I have visited their campus on Anguilla before and met some of their students. It is a very small school with only one small 2-story building, but the faculty we met there were very welcoming and nice to us. As it is not on California’s list, SJSM graduates may practice only in states that do not follow California. While they do not have US federal student financial aid, their tuition is much cheaper than the Big Three schools (AUC, SGU, Ross). During the residency interview trail, I have met some SJSM alumni who are doing very well. It seems that SJSM is going through some reorganization of the school, among the three campuses, and going through some changes with the accreditation. I’m not quite sure what is going on, but a great blog to check out for more information is Medical School Memoirs, probably the best student blog out there about SJSM. The guy who runs it is a current SJSM student doing rotations in Chicago. For more information definitely check it out and perhaps contact him too. I hope you find what you are looking for! From what we figure, the financial aid program is own by the school which is incorporated apart from the school. It’s got a high interest rate and many people try to stay away from it. Canadians get financial aid. Americans will try doing Walden or Davenport. If you have a specific question, I’ll answer it publicly. Thanks for the clarification and information! Do you have any information about the University of medicine and health science st. kitts, I know they still don’t have the approval of Fl, NY, and Cali, but it seems that they are applying for NY and I heard the education is good, and they just got full loan that covers both tuition and living expenses (AUA only has loan for tuition and you have to pay out of pocket for living expenses). One more question, Can you still get residency and practice in other states if they don’t get NY, Cali approval? Hi Shiva, NY approval is needed for graduates to do residency in NY, but graduates can practice in NY after residency. Cali approval is needed for graduates to do residency and practice in Cali as well as the several other states that follow Cali. FL approval is mainly needed for the med school to conduct rotations in FL and has nothing to do with residency or practicing medicine after residency. Hope this helps! I would like to know more about Texila American University(Guyana). Is it a recognised medical institution in the U.S? Hi Billy, thanks for visiting my site. I have not heard much about this school, so I am not the best person to ask. From what I read online, the school is very new, and mainly caters to students from India and Africa. American students only make up 1.3% of the student body. From what I read from the school’s website, it is in the WHO and IMED/FAIMER list and so US citizens who attend this school are eligible to take the USMLE. However, it does not have further accreditation or recognition from any American organization or commission. If you are looking into practicing in the US, I would first and foremost look into US schools (MD or DO), and then look into the top off-shore Caribbean schools (AUC, Ross, SGU, Saba). If not these, then look into MUA, UMHS, or St. Matthews. I wonder why you are recommending schools that are on California’s Disapproved List (UMHS and St. Matthew’s)… That must mean that the whole California approval/disapproval thing isn’t really that big of a deal! Thanks for your input. Let me clarify. It does not mean it isn’t a big deal. It is a big deal. Not being able to practice in all 50 states can limit your choices for residency programs, and the accreditation generally reflects the school’s educational and administrative standards as well as its establishment. While I do not recommend going to schools beyond the California-approved ones, I do feel second-tier Caribbean schools like UMHS, SMU, and MUA are better than Texila American University, which is less well established (first classes began in 2011), and not focused on training students for a career in the US and Canada like the other schools. That is why I said if SGU, AUC, Saba, or Ross is not an option, then then next options are the established American-run non-California approved schools. Glad to see you’re in med school! I checked out your pictures of St. Vincent and your school. Thanks for sharing, and best of luck! Hey Benji! Thank you so much for all of the information. Application time is stressful, but reading your blog has helped ease a lot of my doubts about the process. I don’t know whether this is the appropriate place to ask a question unrelated to accreditation, but I’m not sure where else to contact you. While looking at the “Top 5” schools, I couldn’t help but notice that the tuition for Saba is significantly lower than other schools such as AUC and Ross. I was wondering if you could give me any idea as to why this is. If the education and opportunities are equivalent, then Saba’s lower tuition is very enticing, but I wouldn’t want to make a decision based solely on financial reasons. The remote location and lack of entertainment on the island wouldn’t bother me, since I grew up in a tiny town in Saskatchewan and am more than used to rural life. Also, during your time in medical school, did you know any other students who were married to people not in the medical field? How do they generally manage life with all the hopping around from place to place? Thanks for reading my blog and don’t worry, you can ask me questions on any post, whether or not they are related, since they all get to me anyway. 🙂 I’m not sure why Saba has a lower tuition than Ross or AUC. I suspect it is because it wants to stay competitive in terms of attracting people to go there, particularly Canadians and other non-US nationals, who make up more than half of the student body (54%). It only recently got eligibility for Title IV loans and so for a long time it had to keep its tuition low to make going there attractive. Of course, this is my guess though. Otherwise, the opportunities are the same, and you can practice in all 50 states as a Saba graduate. There are many spouses who come to the island, and they do a variety of things. There’s usually a spouses organization at the school. Some spouses treat their two years on the island as an extended vacation. Others may find work, either at the school or surrounding businesses. Some spouses are busy taking care of children, and some spouses stay back in the states or Canada and come visit once every while. Some spouses even found ways to work online, and moved wherever their student spouse moved. Irene and I did a long distance relationship almost the entire time I was in medical school (except during the times when I was rotating in Miami, where she was also going to school). We used Skype to keep up with each other. I want to congratulate you in your success so far in accomplishing your dream to become at doctor. Ever since I started to read your blog, I was so inspired and confidence I can also reach my dreams by following your path. So far, I have applied to all the big 4, and got accepted to all of them, although I still have a chance to improve my mcat scores since I almost finishing my undergrad. I narrowed down my choice to AUC and Saba, I really can’t decide between this two. I choosing AUC for the all the successful stories I have read so far, especially yours, but at the same time I can’t take Saba out of my head. Maybe it is a sign that want to attend Saba so bad. Please, tell me what do you think about it.. I have also heard stories of high attrition rate at Saba, which I don’t think it is possible since the school could lose their accreditation if that ever happened. Hi Joe, congratulations for your acceptance to all four schools! Whichever one you choose, you’ll get the education and opportunity to become a doctor. Saba’s attrition rate is probably due to the rural island life that many may not be able to get used to for two years, and also the more stringent rules about passing and failing. Saba’s passing score is 75 and students are dismissed after failing two courses, from what I read from Saba student blogs. A good blog from a student who has both experience at Saba and AUC is Paging Dr Tiffany: http://www.pagingdrtiffany.com . She started her med school at Saba, but decided to transfer to AUC. You can get some insight about both schools there. Best of luck! Thank you for this blog i found it the most helpful one so far. I am planing to apply for st George but I am wondering how to finance my living and my education if the i don’t get approval for privet loan? any ideas would help thank you your blog is awesome. Thanks Bilal. If you are a US citizen, US federal student loans are always an option and they will let you borrow more than enough to cover both school and living expenses. Otherwise, private loans are the only other way to go. Best if luck. any information on american university of st vincent? All I know is that it is a very new school that has just started this semester. Since there hasn’t been any students that have finished there so far, your best bet is to contact the school. 1. It has an unstable history, having shut down before and only recently reopened. 2. It is not accredited by any accrediting body. Having a government charter and being in the IMED or WHO directory is not the same as being accredited, despite what their school website may suggest. 3. Graduates cannot get licensed to practice in all 50 states. St. Martinus does not have California Medical Board approval, which is required for licensing in not just California but also several other states that follow California like Alaska, Colorado, New Mexico, Indiana, Tennessee, etc. St. Martinus also is not approved by the New York state medical board, and therefore students cannot rotate more than 12 weeks there and also cannot do residency there, which can limit your match opportunities, since New York has one of the highest number of residencies and is also one of the most IMG-friendly states. I do not know what your reasons are for not taking the MCAT or not applying to more schools. I highly recommend you taking the MCAT and applying for medical schools that will give you much more opportunities. Caribbean medical schools should only be considered as back-up schools, after you fail to get accepted into a US medical school. Best of luck. I’m an alumna of St. James School of Medicine, finished residency from Illinois, want to practice in NY. Our school says we cant practice in NY. Not sure what the reason is. My understanding is that I shouldn’t have any problems with getting licensure in NY. Is this true? or is there something I’m missing? i am an Indian looking into Caribbean Universities. can you please tell me how American University of Antigua is as an option to pursue medicine and finally start my practice in the USA? Hi Akhilesh, AUA is a good option and will get you eligible to practice in most states (all but Kansas until 2019). Many students become successful residents. Thank you so much for this blog! It helped me gain more confidence in applying to medical schools. I’m applying this cycle to both US and non-US schools as a back up. I’m interested in AUA and I am trying to understand the licensing situation of Caribbean schools. 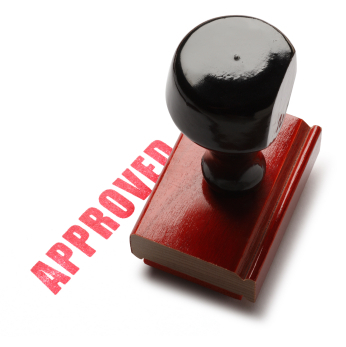 What other state follows California State approvals? I’m trying to look up on State of IL’s website but I just can’t find it. I know that I will not move to California, Kansas or NY, so I’m not worried about getting licensed there. Do you know anything about IL? Thank you again for your amazing post! Hi Pari, Illinois is a very IMG-friendly state, so you should have no problem getting licensed there (considering all else is good) if you come from AUA. The only state I know of that AUA grads won’t be able to get licensed in thus far is Kansas, which requires the school to be at least 15 years old, which AUA is not. However, AUA will be 15 years old by 2019, so by the time you apply for license, it should be ok, assuming they will allow graduates before 2019 to get a license. I’ve listed all the states I know of that follows California on this post. Please look under the “California” heading. States may change policies from time to time. If you want the most updated info, you may have to email or call the state’s medical board. Best of luck! hi. is it possible for African students studying in the Caribbean to get some of these U.S aid loans? it seems most of the loans are only available for Americans. can someone from Africa studying in say Saba hope to get any student loans or financial assistance at all? Hi Queen, US Federal loans are only available for US citizens. If you want a government loan, you’ll have to see if you can qualify for one in your own country. Otherwise, you’ll have to borrow from a bank. I`m EU citizen and i want to ask you, which carribean medical school are accredited in Europe?. Each country has its own accreditation, and so technically no Caribbean medical school is accredited in Europe, just like none are accredited in the United States. If you are talking about which schools can offer degrees that are recognized in Europe, it depends on which country in Europe. I don’t know all the medical board rules of all the European countries. I would contact your country’s medical board to find out. Hi Manoj, I would recommend looking at the school’s website to see if there are any match lists, and how successful graduates are. I don’t have any personal experience at Avalon, so I cannot comment about the experience. However, I do know that according to WHO/AVICENNA, the school is not subjected to accreditation. The degree from Avalon is also not accepted in all 50 states. Because of this, I do not recommend the school. Best of luck! Hi Manoj, WHO/AVICENNA and IMED/FAIMER are only medical school directories. Being on the WHO/AVICENNA or IMED/FAIMER list does not necessarily mean the school is accredited, and it also doesn’t necessarily mean the school is functional either. It just means the school was able to show proof of a government document (charter) allowing them to open in their country. As of 2014, if you go to Avalon, you are able to sit for the USMLE exams, match, and get licensed in certain states, because ECFMG currently does not require medical schools to be accredited by any accrediting body for their graduates to be certified to enter residency program and practice medicine in the US. However, this will change in 2023 when ECFMG starts requiring medical schools to be accredited (by approved accrediting bodies with standards on par with LCME) in order for their graduates to enter residency programs and practice medicine in the US. Hi Benji; thank u for u valuable information.with that I rolled out the college website and have read that Avalon is a accredited carribean medical school for the university to be approved. It’s also recg. by ECFMG and listed in it.I wanna know what is MCCEE and when I would have to take it. Avalon is not subject to accreditation, according to WHO/AVICENNA. I don’t recommend you going to Avalon. There are much better choices of schools out there if you want to eventually practice in the US. The MCCEE is what you take if you want to practice in Canada. Hai Benji l am glad with your information .and what I am concerned about is how much can a person completed his residency successfully in a course will be paid annually. And if one came out with a MD not interested in residency can practise or not and how much he can be paid .l am a MBBS student in India willing to know about life securacy of a medical graduate. In the US, you MUST go through a residency training program to practice medicine. An MD or MBBS degree is practically worthless without first going through a residency here in the US. That is the rule. The pay will depend on where you work. Some doctors are struggling to stay in business, while others can make nearly a million a year. However, medicine is a very demanding field and often very time consuming as well, with little free time for family and leisure. The education is expensive, and you end up with lots of debt for many years. Because of this, I would say that medicine is not a field you go into for the money. There are much better ways to make money. You should go into medicine if you truly have an interest in it. I am Shruti from India and i have opted for American University of Barbados since they were providing me with scholarship , hence i can afford to study in this college.Well i wanted to know whether i’ll be able to do residency in the US and would i have to pay anything during that period. And i even wanted to know how the college is and is it safe. Hi Shruti, AUB is a very new school, established in 2011, and has not had a track record of placing graduates in residency yet. Because of this, I think it is a risky choice to go there. Residency is already difficult to get into for an IMG. Residency is a job, so you will get paid during residency, and don’t have to pay anything. I do not know how the college is or if it is safe. Hai Benji ! Which anatomy book (author)is best for usmle steps. Hi Sanny, BRS Anatomy is a popular and good book for anatomy to study for the steps in my experience. The authors are Chung and Chung. thanks benji, but could you suggest me any other college with a similar fee structure. and i also wanted to know if we could practice as a doctor with an md degree. It’s important to understand that you cannot practice medicine in the US with simply an MD degree. After earning your MD degree, you must compete with many other applicants to be accepted into a residency training program, complete the requirements of the program, and pass the boards as well as the licensing requirements of the state in order to practice medicine independently. Residency can be a very selective and competitive process for International Medical Graduates (IMGs) like you and me. During the application season, a residency program can have well over 1000 applicants vying for 8 spots. Many many IMGs go unmatched each year, and end up not being able to practice medicine in the US, despite having an MD degree. In the US, an MD degree is practically useless unless you can get accepted into a residency program, finish it, and do all the other stuff I mentioned above. While you can’t find a cheaper tuition than that of AUB, please understand that you may have a tougher time getting into a residency program by going to that school. First, AUB has no published track record of graduates who have successfully matched into residency programs. Second, AUB is not approved in every state, and therefore there are limited residency programs you can apply to. AUB is also not well known, and most residency programs may not have heard of it or have any experience with its graduates. Even though the tuition is cheap, if you can’t get a residency because you went to that school, the bargain you paid for tuition is still gone to waste. In short, I think going to AUB is a big risk, even if the tuition is very affordable. I would recommend you take out a loan and apply to a school that is more reputable, more established, and with a better track record. It may be a better investment for your money and your time. American University of the Caribbean, Ross University, Saba University, and St. George’s University are considered the top off-shore Caribbean medical schools, in no particular order. In addition to these four, I would also recommend you consider American University of Antigua. After this, you could also look into Medical University of the Americas (Nevis) and St. Matthew’s University, although these last two are less ideal as they are not approved in all 50 states, but they have a decent track record in putting graduates into residency programs. Hi Benji, I am an Indian going to join a Caribbean medical school this January. l heard that already a batch started this Sep. I want to know whether I am going to lose anything if I join in Jan. Clarify it please! Hi Benji thanks a lot for your inputs in clarifying some cloudy things about Caribbeans meds school. I please can you tell me if UMHS in St. Kitts is an advisable med school to attend based on your knowledge and things you explained and possibility of practicing medicine in the 50 states if one finishes there. I classified UMHS as Tier 5, meaning it is accredited by a recognized accrediting agency, but that agency is not yet deemed by the NCFMEA of the US Department of Education to have accreditation standards on par with those used by the LCME for accreditation of US/Canadian schools. It is also not yet approved by NY or California medical boards, or all the states that follow California. Therefore it is not possible for graduates to practice in all fifty states. If you want to practice in Canada, then you should do some rotations in Canada. If you want to practice in the US, then you should do your rotations in the US. It is MUCH harder to get a residency in Canada. For fear of not going off tangent here, oblige me with any information you may have come across regarding a possible graduate level – Master’s degree in Psychiatry; preferably via distance-learning/online delivery. There are only a few recognizable institutions offering cognate graduate degrees/pgcertificates in the UK but I would be interested to know if there are any others outside of the UK or European territories; please advise. This is beyond the scope of my knowledge or the focus of this blog. Google would be better than me at answering this. Thanks for reading and hope you find what you are looking for. I have been accepted by Saint James for 2015 fall semester. I know that Saint James is not currently on California’s list. My question is if I finished residency program at the approved state and pass all 3 steps of USMLE and licensed can I come back to practice in California? Hi Peter, congratulations on your acceptance to SJSM. Effective 1/1/2013, Section 2135.7 of the Business and Professions Code of California states that if you graduate from an unrecognized foreign med school (i.e. SJSM) you may be eligible for California licensure after being licensed and practicing in another state for over 10 years. There are a few other criteria on the amendment as well to fulfill, which you can read about. So yes, it is now a possibility. I’m trying to get info on how I can practice in the Caribbean, I’m a UK born and bred Consultant Psychiatrist, very difficult to get info. Thanks for the great info. I am older than most people who want to attend Med-school, and believe it or not I have traveled down the path before. I became a podiatrist believing that Caribbean school graduates wont succeed in US. Most of my friends went to many of the said schools and are currently practicing happily in the US. The question I got is about St. James. Do you know of any graduates of the this school who is practicing in any states in US? I am not really picky when it comes to practicing in states other than CA,FL,NY. The reasons why I particularly find the school interesting is the shorter time spent on campus (16) months and the financial obligation. I have already accrued about 200K from Podiatry School and I really do not want to borrow so much more. DO you think St.James is a good option for someone like me? ( I will be 40 years old next year). Hi, I’m an Indian looking into Caribbean med schools to apply to. I just wanted to know which schools are really good apart from the obvious Big 4 that I’ve read about. Since I’ve already lost two years due to some issues, I’m looking for a school with good passout rates with not soaring high tution fees as well as a place where the students have gotten placed well in residency programs apart from internal medicine? Btw nice blog with valuable info. Great Job! What you describe would be an ideal school. Unfortunately the best schools are also the priciest, because they pay for the most didactic and clinical opportunities. I don’t recommend any school outside the big four, but if you do want to look at other schools, you could look at AUA, MUA Nevis, or St Matthews University. Internal medicine residency has the most spots because it is required for many subspecialties such as cardiology, gastroenterology, pulmonology, endocrinology, etc. Oh cool. But I tried searching for Pre-Med courses in Saba and wasn’t able to find any. Because I passed high school and would be joining pre-med , it would be nice if they had a combined program. And in Internal Medicine, do you get to do surgery? I’m kind of confused about the system there. Sorry if these seem silly but I’m just trying to grasp the procedures followed in USA. Thanks for responding. Hi Tanaaz, there are a few Caribbean schools that offer premed programs as well as med school. Please refer to http://caribmd.com/cat/premed-programs/. Also, surgery has its own residency program. The major residency programs include Internal Medicine, Family Medicine, Pediatrics, OBGYN, Surgery, Anesthesiology, Neurology, Psychiatry, Pathology, Radiology, Orthopedic Surgery, Ophthalmology, Dermatology, PM&R, Radiation oncology, ENT, Emergency medicine, neurosurgery, and plastic surgery. Everything else is likely a subspecialty of one of these. Great information here. I was wondering if you know if any of the Carribean medical schools have programs that permit ECFMG certified IMG’s from other countries to enroll with them in order to do clinical rotations in the US? Thanks! I don’t think so. If you are an ECFMG-certified IMG, then you already have graduated from medical school and wouldn’t be eligible to re-do medical school. I would contact hospitals directly to look for externships. I am starting with my pre med on jan. So is there any preparations i need to do b4 i start my classes? Should i refer any books before hand. and can u pls tell me what n all i should carry with me from india that will help me in my stay at the carribean. I knw its not exactly relevant question for this blog but i really needed help in this matter and cldnt find any one to ask. Thanks for visiting my blog. Shouldn’t your program have given you a list of textbooks that you would need, or at least a curriculum? If not, you should ask your program. As for what to bring, everyone’s needs are different. I was pretty happy bringing minimal things from home with me to the Caribbean, and then buying everything I needed on the island when I arrived. The only person that would know what to bring is you. Do you know of, or have you heard of, Caribbean Medical Univ (CMU) or any other med school awarding MD’s without passing the boards. I realize that an MD is worthless without residency but is the MD legitimate? I’ve completed the entire med school curriculum but am unable to pass the board exams so CMU is allowing students to get their MD’s even if they don’t pass the boards. These are specific individual situations of course and they make it clear that we not attempt to practice medicine anywhere for any reason and that until we get ecfmg cert and pass the boards, we are absolutely not legal to practice medicine, anywhere! But once I get the MD, is it legal and legitimate? I haven’t seen any mention of CMU in any of your previous blogs. Any advice would be appreciated! I’m almost at the finish line but passing the boards is too daunting and i have a baby now so I am in a different stage of life so I won’t be taking the boards! I just want to know if an MD from CMU is legitimate. I will eventually use the title to get a better job so I want to make sure it is legit. Please advise in any way you can! I have not heard of any other medical school that awards MDs without first passing the USMLE Step 1 and 2, both of which are requirements for you to get the ECFMG Certificate. In terms of whether or not your foreign MD degree is legitimate (aka legal) without the ECFMG Certificate, I think you answered your own question… “until we get ecfmg cert and pass the boards, we are absolutely not legal to practice medicine, anywhere!” There is a good reason the school is telling you this. I would highly recommend you take the Step 2 exams. You have to pass Step 2 within seven years of the Step 1, otherwise your Step 1 will become invalid as well, according to ECFMG policies. We pay a lot to go to an IMED-listed school in order to be eligible to even sit for these exams, and to become physicians. Why would you want to stop now? Getting an MD degree that is not legal should not be the end point on this journey. No problem, all the best to you and your family. First of all I want to thank you for this amazing blog. It really helped me a lot to understand how everything works and it’s truly affecting my decisions towards my future. I know your focus is on Caribbean medical schools but do you know anything of what Universidad Autonoma de Guadalajara (UAG)School of Medicine (Mexico) has to offer? Is accredited by NCFMEA? Does it have State Approval? Have you heard anything about it? UAG is a five year program, and NCFMEA has deemed UAG’s accreditation standards to be comparable to those of the LCME. Because of this, US students are eligible for US federal student loans. I would highly recommend you visit UAG’s website if you are interested in going there, as I was able to find these answers there. Also, if you go to California’s list of approved med schools (which I have linked from my post above), it shows that UAG is Cali approved. I love your blog, it’s been really helpful with my research into the caribbean. Having said that, I was wondering if I could get your advice on my situation. This is my second time applying, I have gotten no’s so far from the U.S. (MD and DO) but have been accepted to AUA and UMHS through their review programs and am most likely to get accepted to SMU as well (directly). I’ve gotten no’s from the big 4, (still waiting on SGU, but expecting a no). What do you recommend? I feel like doing a review program is too risky and not guaranteed, but at the same time I see that AUA is a better school than SMU and would offer me better opportunities. The chance to just start at SMU and save time an money is intriguing, but is it worth it? Any advice you can give I’d GREATLY APPRECIATE! I would recommend going to AUA over UMHS or SMU, even if it is into their review program. The review program is only 1 semester long, and if you start in January or May, it probably won’t even affect your Match year (as opposed to if you just went straight into the MD program). Going to UMHS and SMU will give you a lot of limitations on where you can practice in the future compared with your colleagues who went to the Big 4 or AUA, even if you are a very competent physician. Thanks alot for the information on this blog.I have a worrying question. If you graduate from a Caribbean med school that doesn’t have NYS accreditation, can you still do first/second year of residency (transitional year/prelim year) in NYS and maybe complete your program in another state since you cannot get NYS license. Interesting question. I don’t have the answer to that, but if I had to guess, I doubt you would be able to do prelim or transitional year of residency in NY if your school does not have NY approval. Prelim and transitional year is still residency, and in New York, you wouldn’t be eligible to do residency without first having your school be approved by the state. I would read up on the medical board policies on their website, and if not, contact them directly. No problem! I prefer to answer all questions publicly, on this blog. Feel free to post questions and I’ll try my best to answer them if I have an answer. What can you tell me about the All American Institute of Medical Sciences (AAIMS) located in Jamaica? Well I am considering AUA (as recently mentioned) but I have heard some news of scandals there (cheating, etc) that caused them to lose some of their privileges. Do you know anything about that? Also, as far as AUA goes, is the only difference with the “Big 4” the approval in all 50 states, or is there a large discrepancy with USMLE scores, rotation and residency opportunities as well? I am not familiar with any scandals that may or may not have caused them to lose any privileges. “Big 4” is an unofficial nickname for the four off-shore Caribbean medical schools where graduates are able to be licensed in all fifty states. I don’t know the match rates or graduation rates at AUA besides what they publish publicly on their website. Your blog has really really been helpful indeed. I have friends in the caribbean studying already in a school which is just 4 years old and they say I shouldn`t think of coming to the caribbean but I do want to practice in the U.S and am not a citizen of the U.S. Please based on your knowledge of their tuition ,merits and demerits what do you think of Atlantic University School of Medicine and Spartan cos those I believe I can try out but I need your idea on them or any other aside the big big 4 .plan moving to the caribbean this summer.. I will appreciate your reply,thanks!!! Matching into a US residency is already difficult for non-US citizens. Coming from a Caribbean medical school plus being a foreign national is going to be even greater of a challenge for matching, even for those who graduated from a Big Four school (AUC, SGU, Saba, Ross). Going to a school like Atlantic or Spartan is even more risky. Spartan does not have a good track record, being disapproved in several states, and Atlantic does not have a long enough track record for success of their graduates. I would try your best to get into a school in your country so that if you don’t match in the US, you at least still have the opportunity to practice in your country. If you were to go to the Caribbean, try to at least get into a Big Four school. Best of luck! Do you know anything about Avalon Medical University? I was at AUA, but now I have to transfer, but I don’t know what school I should transfer to. Any recommendation? One of my friend told I should look into windsor and st. mathew since they have high rate of residency, but another friend of mine said that make you sure I enroll to school that has NY approves at state of residency. I’m kind of confused of which school I should choose. I thank you in advance for your help. First I would like to thank you for creating this blog. This is like a giant pay-it-forward and I wish you all the best in your future endeavours. I am considering medical school in the Caribbean. I am Canadian and I have seen your comments about residency-matching for foreigners however I am sick of the cold and figure I will take my chances in this area regardless. I think, based on my own research and your blog, I have narrowed down my choices to AUA, SMU, MUA, SJMS, and possibly Xavier – with a heavy leaning toward AUA, SMU and MUA. All of their tuition fees seem similar, with the exception of SJMS being cheaper, and staying in residence is not cheap across the board. I know this experience is what you make it – basically stick your head in a book and study as your grades do determine a lot of your future with regard to boards and residencies. Of note, I am single and would be selling my house, car, etc. – basically uprooting my whole life and starting somewhere else. However taking into account cost and opportunities with the universities that I have named above and my life situation, who would you go for, if you were to rank my picks in order? I have seen your ranking list but then there have been comments that some places outside of the “Big 4” are not so bad. I have noticed some sites have posted pictures and videos of their facilities while others do not or it is very limited. I have looked at the teaching faculty, admin, and also looked at student blogs and alumni. I am still finding it a little difficult to pin down. I am not asking you to make a decision for me but I am looking for some perspective from someone who has been through the process. AUA –> MUA –> SMU. I am currently in my 5th year of med school in a mexican University(which has a 6 year curriculum.) However I want to do my residency in the US, I have noticed my University doesn’t appear in the FAIMER’S IMED List and I am very worried. Does this mean I wouldn’t be able to sit the USMLE exams or have a chance to do my residency and have a license in the US? or is there some other option for me? Unfortunately your school has to be on the IMED or Avicenna list in order to take the USMLE. Are you sure your school is not on there? Most schools are. You should ask just to make sure. What school do you go to? I do not know. This topic is beyond the scope of my blog. I recommend a Google Search. Hope you find what you are looking for. Hard choice. I don’t have any personal experience with either of these schools, so I can’t tell you what the experience is like. However, I think you answered your own question. It seems you feel you really need federal student aid. In that case go to MUA, especially if you don’t plan on working in California, and some other states. You were so informative on the scope of selecting medical universities and I’m unfortunate that I couldn’t visit your blog 3 months ago. My sister was admitted to Texila American University, Guyana and I now feel that it’s a mere blunder. They say that they provide Kaplan training for USMLE training and yet started. She is in PM1 and I don’t known what to do now, can I stop her education or transfer to a good university. Does writing MCAT help in admissions. Pls help me in this regard. I can see how you can be worried for your sister, but she is an adult who can make her own decisions, and so you can’t stop her education or transfer her to another university. MCAT is a must. First of all, your blog posts are absolutely amazing and extremely informative! Thank you for posting all these phenomenal insightful information! After reading your blog posts, it seems that if you attend any of the Big 4 schools, you are licensed and can practice anywhere in the US, but I just got an interview with mua, and now after reading your posts, I am not sure if attending mua would be the best decision since you mentioned that Cali-approval is the most important approval out of all the other states. Would you recommend mua? Have you met many mua residents? I would recommend MUA after the Big 4 and AUA. Seems like this school is ever improving. They just got approved for offering US federal loans. I hear the education is decent as well. I know of residents who graduated from this school. However, try to go for Big Four and AUA first before considering MUA. Tia- MUA has produced batch after batch of happy endings. The hardest part will be getting “off of the island”. If you pass Step 1 and start clinical rotations, with hard work and determination, you will do it. I’m an MUA graduate myself and graduated from residency in June. Over 90% of my class matched. Feel free to contact me. Hi Benji. Please I need your frank opinion. I am a British citizen hoping to start MD program with AUA. Will you support this move? Will I be able to do residency in US? I have alternative offer from China University (FUDAN MedicalCollege) English taught. Which will you recommend – Carribean or China? I do not have any experience with either of these schools. I would imagine AUA would be more fitting if you want to practice in the US eventually. I’m not sure why you would want to consider China. Your patient population would be Chinese-speakers and you would be taught to work in a medical system that is very different from that of the US. I read your previous comments that Avalon University is still not accredited.I can’t find any information on this. I want to eventually practice in NY. Is it still not accredited by NY? DO you think its worth going there or not? I don’t want to waste my time If I won’t be able to practice in NY or even NJ? Avalon is not accredited. None of the organizations listed on their website under the “accreditation” section are accreditation bodies. Even the WHO/Avicenna directory says it is not subject to accreditation. Go to http://avicenna.ku.dk/database/medicine, search for the school, then click on the “Recognition” tab. Avalon is not accredited by NY, which means you cannot do more than 12 weeks of clinical rotations there and you cannot do residency there. However, once you finish your residency in another state, you can go to NY to practice. Thank you for all these information. I came from medical school over the seas. all what i want is transferring to get my MD from Caribbean school and practice medicine here in the States. So does it deference if i apply for match from Ross (or any one of the big for) or IAU (the one that i got acceptance from it) or all Caribbean school are the same? Not all Caribbean med schools are the same, as I have made clear on this blog post. Just wanted to say thanks for all the work and help you have given all of us trying to find our way in this md path. My question is should I even consider trinity school of medicine over ROSS because of the smaller class sizes that trinity offers, possibly allowing me to perform better in my studies? Or pick the school with the better opportunities for residency and clinical rotations, ross? I have no interest in practicing in California or New York just Midwest states like Illinois or wisconsin. The “opportunity” that a school provides definitely trumps the teaching style the school provides in my opinion. You may be the top student of a certain school, but if a degree from that school limits where you can practice, or limits the number of jobs you can apply to, then it could cost your chances to match. The same can be said why it would be wiser to choose a US med school over a Caribbean med school. Even if you think living in the Caribbean would be really awesome and feel like you would benefit more from the learning style, ultimately you won’t have nearly as much opportunities as your counterpart in a US med school. Although you may not have interest in practicing in Cali or NY, you don’t know if programs in those states may be your only ticket to residency. NY and Cali alone provides 22% of all residency positions in the US. 1/5th of all IMGs end up matching in NY. Going to a school that won’t allow you to match in NY closes your doors to a huge number of IMG-friendly residency programs. If you get into both, I would choose Ross. Best of luck. Are you familiar with the University of Arts, Science, and Technology Monsterrat, http://www.usat-edu.org/index.htm? If so would you recommend them? They are accredited by the Accreditation Service for International Schools, Colleges and Universities. I do not recommend them. They are distance learning, which is not the way to learn medicine, and you will have trouble getting licensed in many states. Also, their website is somewhat mysterious… it does not tell you who the faculty are, where their alumni have matched in the past, who their alumni are, extracurriculars at the university (i.e. student organizations), or photos of campus… unless the swimming pool and those two houses are campus. It also does not tell you where you do clinical rotations. The accreditation agency, ASIS, is not listed in the FAIMER DORA. ASIS is based in the UK, but the official accrediting agency of the UK is not ASIS but GMS (General Medical Council). Not to mention, their website looks like it was made by an amateur or hasn’t been updated in a long time. i just got admitted to Xavier university- Aruba, As i was doing some research on the MD program at the mentioned university i could found that it is ECFMG recognized in addition to the other types of accreditation which will allow me in the coming future to apply for residency in the State. i consider an apportionment since i obtained my Biology degree from Notre Dame University – Lebanon. i would appreciate if you can provide with any further assistance regarding this university. I would be careful going to this school. Match rates are low and you may not be able to get licensed to practice in many states after you finish. There may be successful graduates but choosing this school is a risk, especially when you can choose another school that can provide better opportunities. I recently got into American University of Antigua (AUA), and I am really on the fence about attending the school. And I keep finding things about AUA that are good and bad. But I was wondering what is your honest opinion about the school and do you think it would be a wise choice to attend? I have had good experience working with graduates from AUA. The school can definitely give you the opportunity to become a physician who can be licensed in all fifty states. The issue is finances since the school does not have title 4, and loan company can be a hassle to work with. I cannot speak for the actual experience of going to this school. I have heard mixed reviews, but then again you hear of mixed reviews for most schools, US and Caribbean. Thank You so much for this blog. It is AWESOME! !- its the best resource I have found for carib schools. what is your opinion on All Saints University School of Medicine – I have not seen it in your rankings. Thanks for reading Ikalla. I cannot say much about the experience of the school but I can say that you will be limited as to where you can practice after you finish by going to this school. I have also been to the campus before and from general appearances, it looks like this school may have limited resources. Of course my impressions are superficial as I don’t know anyone who went to this school. I recommend considering other schools that give you more opportunities such as the Big Four schools plus AUA. I did get a scholarship. Also, there are plenty of students >35 yrs old. You should be able to get licensed in all 50 states if your degree is from Ross. Dear Benji, thank you for reply. In the archives, your article about financial debt, you mention around $350K . In the other article you mention total cost with dorms to be around $250K. If you received scholarship, why your total debt came up so high? What were the underwater stones? I have limited financial resources and ask this question not to offend or out of curiosity, but to acquire some information that would serve as a guide to my decision making. Thank you. You will always borrow more money than the actual cost of med school due to living/travel/miscellaneous expenses. You will always end up paying more than you borrowed due to capitalized accrued interest. My scholarship was very little in comparison and in the long run did not make much of a difference. Hi Mohammad, I don’t know the match rate at AUA. If I had to choose between the school’s official statistics vs some blogger’s best guess, I would go with the school report, particularly since AUA is considered one of the more credible institutes in the Caribbean. Always take everything you read for a grain of salt of course but be even more careful with what you read on blogs and forums. Hai, thank you so much for your positive blog, iam currently at Texila American University and will be leaving soon immediately my father is stable, the school is not accredited , they lie to international students, iam from Zambia , and my family struggled a lot to bring me here, it has been a share waste of time and money, the school is tun by Indian crooks , they do not have a permanent building but jus rent, everything about the school is fake. Hi benji I just got accepted into st James school of medicine, they recommended I choose the st Vincent campus however I am wondering if the campus I choose makes a difference considering they have different IMED listings. I can’t say much about the St. Vincent campus except that they are very new and so probably does not have much of a track record as to how successful their graduates are, if they have graduates. Also being a new school has its challenges. I would contact the school for more info. Hi Benji, I am an African student of all saints university. I would like to do my clinical rotations in the US. Most people from my school that are doing their rotations in the US are either in Chicago or Atlanta. Please can you tell me some states you know that are less expensive based on accommodation and living in general where I can still get a good clinical rotation. I was thinking Pensylvannia. What do you think? As a general rule, the southern states are cheaper than northern states. East coast is cheaper than west coast. Small cities are cheaper than big cities. And in general, hospitals that are paid by international private medical schools to educate medical students tend to need the money and are located in poorer areas, serving a poorer population. However, the pathology you will see and the education you will receive in these hospitals are priceless. I have few questions. My niece has opted to study at American University of Barbados. If she completes USMLE 1, USMLE CS and USMLE CK within seven years as per norms and doesn’t get to join residency after ECFMG and Match. What will be her status? Will she be able to practice in US based on her clearance of USMLE 1, USMLE 2CK and USMLE CS CS? Hi Manish. Standard US-based med school is 4 years, not 7. If your niece passes med school and passes Step 1, 2CS, and 2CK and doesn’t match, then she will have an MD degree but no job. She will not be state licensed or board certified. She cannot practice as a physician without residency. Thank you for posting this blog that is more informative than opinionated. I appreciate your honesty but also your open mind. I am a PhD level physician assistant who has done fellowships at Mayo Clinic and several other prestigious institutions. I was an ICU/CCU registered nurse for 12 years, followed by nearly 20 years of being a PA-C. I have the priviledges and responsibilities of a physician at about 1/2 the pay. For those who say “well the physician is ultimately responsible” that is garbage. In the history of the U.S. there have been only 2 lawsuits involving PA’s and in most states, a supervising physician doesn’t even have to be in the state to supervise- only available by phone. I think because of my experience (not my degree) many of my physician colleagues actually seek MY help versus the opposite. That being said, at one point in my career I was accepted to American medical schools (2 of them) on 2 different occasions. Unfortunately, my life circumstances did not allow for me to accept. Sorry to drag on….I wanted to preface my story with my history. So to cut it down to a book….I would love to finish my MD degree. I saw that IUHS has a very well-developed online learning program that is for medical professionals only (PA’s, NP’s and DPM’s). Their USMLE pass rates are 97% and 98% for 1st and 2nd tests respectively. Their residency match rate is 95%. I don’t know if this is ONLY for people like me with tons of experience, or if it’s just blowing smoke, but if you watch their Chicago conference, they seem to have very innovative and effective teaching methods that are proving successful. My only worry is what if the state credentialing changes before I’m finished with the program if I decide to go? Any advice would be great. Thank you again. I would like to thank you for this amazing blog and the advices you are providing us with regarding the medical schools. After taking you advice into consideration, i applied to (AUA) and i got admitted. Congratulations YH! Wishing you the best of luck in med school. UPR is a US medical school, accredited by the LCME, not a Caribbean offshore school. Kenneth, I’m glad you found it useful. Thanks for reading! I stumbled on your blog and it is eye opening gives alot of information that I could have used when I was applying. I am currently at Texila American University in Guyana and I am seriously considering transferring because as you said, in some websites you have to take with a pinch of salt. I was wondring if you could advise me on some medical universities available which will allow me to transfer and continue from were I am. I am a Zimbabwean and currently in MD-1 and would love to eventually go back and practice in Africa. Thanks for reading. You will have to check with your country’s medical board to see which schools they would recognize. There is probably a medical licensing test that you would have to take for your country as well in order to be qualified to practice medicine there. Best of luck. Nice website. I wish I had seen your site before I started Med school. That being said, I did manage to graduate at top of my class from MUA, pass all 3 steps first attempt, get residency in my state of choice, which was Oklahoma and am now a practicing board certified physician. All has been good except that we are now trying to move out of Oklahoma and I cannot figure out which States are a possibility for me to get lisenced in now that I board certified and lisenced in Oklahoma. Do I simply have to call up all medical boards or do you know if there is a more efficient way of finding this information. Thanks again for the time and effort you have put in this site. You would have to find that out from each state’s medical board directly, since rules constantly change, and websites and blogs, including this one, may not give you the most updated information. Some states allow you to practice if you have been state licensed in another state for a certain number of years. Other states may not let you do residency there if you are from a certain school, but may let you practice once you are board certified. Best of luck. I recently got dismissed from SGU and I am currently a C+ (78) student. I plan on transferring but I don’t know which schools will accept me. Also comparing AUA and MUA which school has the better Basic Sciences preparation for USMLE and also which one has the better clinical rotations? Thanks for your helpful website. I wonder why state approvals are only about Caribbean medical schools?!! for example I did not hear this approvals about European or Asian medical schools. Hello. This is a lovely read and thank you for putting this up. I have a quick question: Are accreditations retro active? If you graduate from a school that was not approved by California for example but becomes approved after you graduated, are you now able to obtain licensure in California? Not necessarily. The rules often only apply to those who graduate after a certain date. Check with the California board for more details. Thanks for reading and best of luck. A lot of physicians do not encourage their children to go into medicine, and a large percentage of physicians are sorry they went into it. I would suggest finding out why before spending the money and taking the risk. Do you know anything about IUHS, its around since 1998. Their basic sciences is via distance education (live lectures though) and many states won’t license them, but I did find their graduates practicing in the US. I am not sure if those grads are their on-campus students or distance students though. I am wondering how they are able to survive since 1998 if they haven’t been graduating students each year! If you heard anything about IUHS (St. Kitts), would appreciate your opinion on that school. Thank you, great blog! I would be cautious with any med school with distance education as a large part of their curriculum. Hi I go to a small school called AUIS on ST maarten. They used to be another school on the island of eustatius which was accredited and everything. I know they sent in their Florida application in the beginning of this year so I was wondering if you know how long it takes. And if they get Florida accreditation is NYC basically easy to get after? Just wondering if it is worth it to possible transfer into aua after I take step or just stick it out with this school. Let me know thanks! The Florida medical board and New York medical board are completely different and requires separate application processes, so there’s no telling when the school will get accreditation in either one. I don’t know if AUA will take transfers from AUIS. I guess you could always try. AUA will certainly give you more opportunities since you would be able to apply to residency in more states, if that is what you want. Otherwise, I know people who have graduated from AUIS and are doing well in residency. Best of luck. Can I reach you on a public/work email? I’d like to ask you a brief question without posting it publically. Wrote my email in the blank tab, thank you so much in advance! Hi N. Sorry, I do not give out my email, but I would be happy to answer any question you have publicly. You could also do a search on my site (from the homepage, on the right side bar) to see if I have already answered a similar question. Hope you find what you need. Your tiered gradings of Caribbean med schools is the most informative I’ve seen anywhere on the Web. I believe it maybe the only one. The closest I’ve seen are lists and others which state some comparisons. But as comprehensive and detailed as your list is ordering them by categories that matter, I haven’t. Thanks! I categorized the schools in a way that made sense to me. I’m glad you found it useful! i am expected to starts medical school in china specifically ,changsha medical university. More to it ,the school instruction of teaching will be in english along with chinese . The school is also not on the list to enroll international students in english medium but chinese they are qualified . nevertheless the school is not in california recognised list and also not in disapproved list. The school is also recognised in ghana for that medium( english) i therefore want to seek redress with my decision as i will begin in school september. I read through your entire blog and I am very impressed by the information you have presented thank you for providing it. I am student that had to withdraw from AUA due to family issues and am considering transferring to a different school. I already looked into the top schools and most of them are unwilling to take me. So I applied to IAU, Xaviers, Avalon, Atlantic, AUIS(st maarten) out of those schools which would you recommend would be the best to go to. I’m leaning heavily towards Avalon because the faculty and the students who I spoke to who graduated from there have all spoke very highly of the school however you mentioned that is not accredited by the WHO which I don’t understand because on the website it says that they are ECFMG accredited. Can you please explain to me what the difference is between being listed and being accredited and if there is a difference how can we tell if a school is accredited or just listed on the WHO website? Also if not Avalon would other school would you recommend from the ones I have mentioned. Thanks again for your help! Read everything with a grain of salt, especially this school’s website. The accreditation section of the website lists WHO, FAIMER, Medical Council of Canada, Government of Curacao, NRMP (which they misspelled ‘NRPM’), US Department of Veterans Affairs, Medical Council of India, World Directory of Medical Schools, ECFMG, IMED, GMC, and NBME as their “accreditations.” However, most of these are not even accrediting bodies. In fact, four of them are essentially the same thing: IMED, FAIMER, WHO, and World Directory of Medical Schools are all essentially “WDOMS.org,” which is merely a list of med schools, not an accreditation agency. 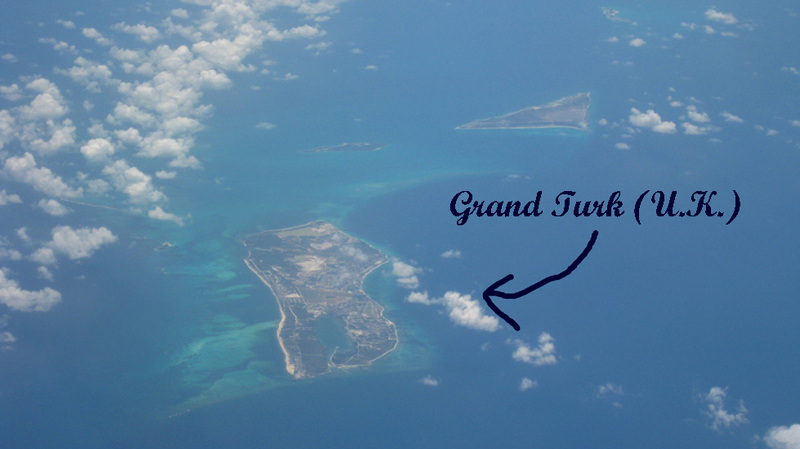 The only accrediting bodies on there, the Medical Council of India and General Medical Council, accredit medical schools in India and United Kingdom respectively, and not oversees in Curacao. WHO provides a med school listings, and does NOT accredit medical schools. It is now the World Directory of Medical Schools. FAIMER is the organization that provides the International Medical Education Directory (IMED). It is now the World Directory of Medical Schools. Medical Council of Canada deals with matching and licensure in Canada and is not an accrediting body. Government of Curacao grants charters to medical schools, not accreditation. NRMP is the organization that helps match medical students and graduates into residency programs in the US. It does not accredit schools. US Department of Veterans Affairs is the government agency that administers benefits to veterans and their families. It does not accredit medical schools. Medical Council of India accredits schools in India, not Curacao. World Directory of Medical Schools is a list of medical schools, not an organization that accredits schools. ECFMG acts as a dean’s office for graduates of foreign medical schools and does not accredit medical schools. IMED is FAIMER’s list of medical schools, as I mentioned above. It is now the World Directory of Medical Schools. General Medical Council deals with graduates who want to get licensed in the UK and does not accredit overseas med schools. NBME manages the NBME exams and does not accredit medical schools. Curacao is one of the few countries that does not require a med school to be accredited. The school did try to get accreditation from CAAM-HP in 2014, but could not meet standards and was rejected, as you can see here. The school continues to remain unaccredited, and so all they can do is throw around catch-phrase words like “recognize,” a term so broad that it can mean anything to anybody. It does not equate to being accredited. The good thing is the school does not need accreditation at this time for students to be able to take the steps necessary to get licensed and practice medicine in majority (not all) of the states in the US. This, however, will change in 2023, as you may have read in my post above. I would not trust a school that was so manipulative in presenting information about itself to potential students. I would much rather you go to a school like Xavier in Aruba, which is accredited by ACCM, so you at least know it meets the stringent standards required for accreditation. I have been accepted to AUC. And after a lot of research I am still on the fence. I want to, ideally, get into a IM residency in a University Program. The 2015 match rate is 84.3% but based on the number of students that applied and the number that gets in I find there is a large portion missing. And with the constant increase in tuition it is a lot more risky than one would hope (in the long run). Also, other blogs and forums have some real horror stories about Caribbean Medical Schools like AUC. Do you have any advice/insight on the number difference and the future of IMGs (in the Match)? Thanks for your help. The number difference is accounted for by the high attrition rate. People fail out of school for a number of reasons, which I had addressed here. Of those that pass all their classes and rotations and make it to the Match, only 84.3% match into residency. There are also a number of reasons why people don’t match into residency. It could be from having failures on the USMLE, low USMLE test scores, failures in school or on rotations, having bad letters of recommendations, not graduating on time, applying to too little programs, applying to too competitive programs, having a poorly written personal statement, having bad interviews, having unlikeable personalities, being a non-US-citizen, and of course, there is the Caribbean bias. It’s hard to say what the future will be like for IMGs in the match. As med schools are expanding, so are the number of residency spots. In 2023, I would imagine many Caribbean medical schools closing their doors as well if they are unable to get proper accreditation, which would mean less people from the Caribbean applying for the Match, meaning slightly less people to compete with. All this is speculation, of course. what is the procedure to enter the medical school. and is the medical school recognized? Is the environment quite good ? I have read your blog and the comments. thank you very much for the information. I know that you have been insisting on the top 4 medical schools in the Caribbean, but if you could please shed some insight about Spartan health Science University, St Lucia. Also please let me know what is their pass percentage in USMLE step 1,2 and 3. And the percentage of match in the residency every year other than what is already mention in their web site. Definitely not Spartan. They have been disapproved in so many states. As for pass rates for Spartan, I do not have that information. I am living in USA and Greencard holder can i approved for US Fedreal loan/Aid? I want to apply in SGU ot ROSS , which is good as per your experience. How i get accomodation in Campus or outside apartments are available? Both SGU and Ross can get you to potentially practice in all 50 states, just like AUC and Saba. Both SGU and Ross has student housing but availability may vary. 1.My Daughter is in 12th Grade and they mentioned she can start the Med Program (post 1 year of Pre-Med). Most US schools require Bachelors degree before Pre-Med, is that not the case for Caribbean Schools? 2.The college claims that they have tie-ups with 10 odd US states and 44 universities/hospitals where students could do Clinical rotation – I understand it is blacklisted in a few states, but is there a path to do Clinical Rotation from a good Hospital in US and get admitted to a good PG program and get Residency (Say Internal Med, Assuming USMLE1 and USMLE2 score are decent) or you think path from this college is extremely difficult? 3.Very surprising but couldn’t find more than 1-2 hits on Linkedin/fb of students who have studied at this college. The college has 30+ years of existence, was puzzled, thought will ask here. Ramesh – Like you may have read from my previous comments, I do not recommend spartan. I don’t need to explain more. Please read my comments. In US, premed is part of bachelors/ undergraduate. Im San what’s your opinion about American University of Barbados.As of 2014 i think the college hasn’t had any accreditation.I would be glad to know your opinion. The school is not accredited yet and has no track record of producing successful doctors. There is not enough evidence to convince me to recommend this school. I am from India. I am planning to study in Alexander American university, Guyana. I am still confused because they are going to start operating from this session only. Therefore I have less inputs about it. Although they have lesser fees as it is a new university (they say their fees will shoot up in the next year) I also want to know if a university is disapproved in 2 to 3 states is it really a big deal even if one gets a license for all other states? They are saying they will get accredited before they start the course and they also do have 2-year clinical sciences programme in US. I would really appreciate if your knowledge and research could help me and others considering to study in AAU. NEED UR HELP !!! Don’t go. The school doesn’t even sound like it’s established yet. Yeah it may be cheap but you get what you pay for. Who knows… maybe the school may even close down before you finish, causing you to have wasted money with no degree. Not a good deal at all. This has happened to many new schools in the Caribbean – St Theresa University, Milik University, St Martinus (a few yrs ago), St Helen University… Why not apply to established schools who actually have a track record of producing successful graduates? Sounds to me like the smarter choice. no doubt your information is useful,but i think its kinda outdated cause its as of 2014,and its two years past.Can u please check out the updated info about American university of Barbados.Cause as of now i have already joined the premed-1 classes.Please help me out.!!! My info still applies as of 2016. I looked at the “recognitions and accreditations” for AUB. It does not appear to be accredited by any recognized accrediting body. The school is not listed on Barbados Accreditation Council as one of the accredited schools. It is also not accredited by CAAM-HP, which is the accrediting body for med schools in Barbados according to DORA. The school is so new without much track record of successful graduates. I would be hesitant in going to this school. things that you may not know about since they are very recent. Sjsm is doing their 5th semester in the island. AICM, currently located in Chicago, is going to be shut down next September and the students will be required to stay in the campus. Sjsm got CAMP-H credentials recently for 1 year. I have applied to the Big 4 Schools and I am waiting to hear back from them. I also applied to St. James on Anguilla, and I have been accepted. I am just looking for your thoughts about this school and if I should hold out for one of the Big 4? Definitely wait to hear back from the Big 5. These schools will give you more opportunities when it comes time for match. I do not have a good impression of either one of these schools. Your best bet for matching in the US would be a US MD school. If not this, consider a US DO school, or one of the Big 5 Caribbean schools. I have recently transferred to AUB from one of the Big 4 Caribbean medical schools. I have finished most of my clinical rotation before I transfer. What’s my chance to get a residency? is there any restriction to apply for residency in NY? how does the residency program evaluate the transfer student even though he/she had a good clinical rotation with the previous school in NY? I would really appreciate it if you can give me some info about these issues. Thank you! Why did you transfer to AUB, and why so late into med school? Was it because of academics or worse, breech of ethics? These are questions I would ask as someone looking into your file. Whether or not they consider you for an interview depends on who reads your file and whether or not you make the cut-off scores for the program. Thank you so much Benji for the information. Do you have any information on international students applying to the BIG 4 schools. My sister resides in an african country and wants to study medicine and practice in the United States. Any advice? It’s very difficult for non-US citizens to get into residency in the US as the programs have to sponsor visas. It is even harder for non-US citizens graduating from non-US schools to practice in the US. Your sister needs to really think about if this is a risk she is willing to take. Hello Benji, Hope you are well. I am a recent graduate of windsor university school of medicine and have been ecfmg certified and I am applying for residency for the first time this september. I just wanted to ask you about which states I cannot apply to for residency. I read your website and did some of my own research by calling up some state boards and from what I understand i will not be able to apply to california, new york, new mexico, colorado, alaska, vermont, indiana and north dakota. I just wanted your input if I am correct with my list. Just to note Windsor university is not California approved or disapproved and it is not New York approved either. It has been open for more than 15 years and I dont think its on any other states disapproval list. I am so very thankful for your blog posts and the information you have posted. They have impacted so much of my decision choosing a Caribbean Medical School, especially looking at anecdotally, statistically and informational based. Although I was wondering what your opinion might be about MUA. They recently got approved for California. I am looking to multiply to multiple schools and it might take about 1 month to get all my interviews/applications done but MUA sent me an acceptance but has given me a very short time (3 weeks to make a placement). I am curious how different now would you rate MUA in terms of tiers and quality now? Is it similar to SABA given they are owned by the same company and have the same state approvals? Your directness and also thoughtful posts are inspirational and very helpful. Whats your latest and current opinion on this school.